Dr. Chew Tuan Chiong serves as the Chief Executive Officer of Frasers Centrepoint Trust (FCT), a listed REIT on the SGX with a market cap of some $2 billion. FCT has delivered record dividends every year since its IPO, receiving numerous awards including being voted best mid-cap company in Singapore in 2012. 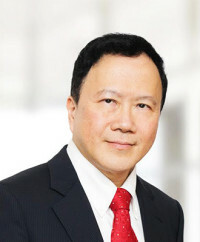 Prior to the joining the REIT sector, Dr. Chew served as the Chief Executive Officer of Science Centre Singapore, a government statutory board, from 1995 to 2010, during which time the place was transformed into a vibrant world class venue with visitorship doubling to above one million per annum. Dr. Chew has worked with the National University of Singapore, Daimler Benz in Germany and British Gas PLC in the UK. He has been a Non-Executive Director of Hektar Asset Management Sdn Bhd, the Manager of Hektar Real Estate Investment Trust since May 5, 2010. Other past Directorships include the National Heritage Board, Netlink Trust Ltd, Frasers Property Australia, the International Association of Science Centres, Giant Screen Theatre Association and the Goh Foundation. He is also currently the Vice-Chairman of the National Council Against Drug Abuse. He was awarded the Sugden Award by the Combustion Institute (UK) and the Public Administration Medal (Silver) (Singapore). Dr. Chew holds a Bachelor of Engineering (1st Class Hons) from Monash University, Australia in 1979, a Master of Engineering from National University of Singapore in 1986 and a Doctor of Philosophy from University of Cambridge, United Kingdom in 1988.